I am available to speak and/or teach in English, Spanish and Portuguese about writing, travel writing, ethics of travel writing, philosophy of travel, budget travel, independent travel and anything else you might think of. If I don’t know about it, I’ll make it up. Write to me at seth(at)sethkugel(dot)com. 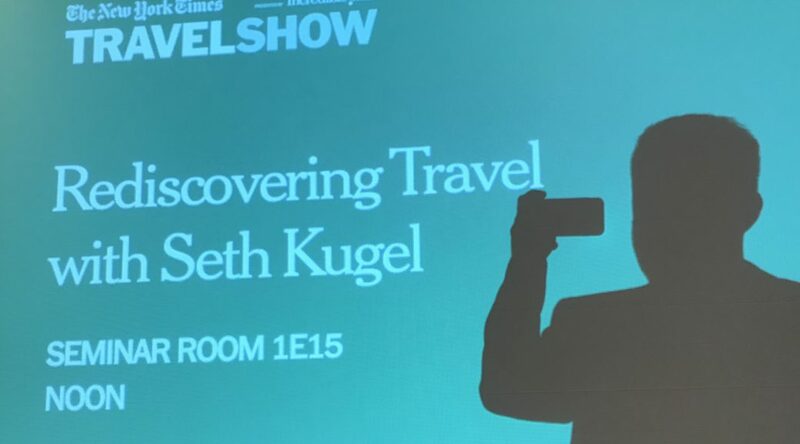 Past seminars and speeches have included the New York Times Travel Show [annually], the Yale Club of Boston; the Harvard Club of New York; the Ecotourism and Sustainable Tourism Conference (Bonito, Brazil); Universidad Pontificia Bolivariana (Montería, Colombia); Seminário Viajósfera (travel bloggers conference, Rio de Janeiro); and the Folha de S. Paulo newspaper (São Paulo, Brazil).